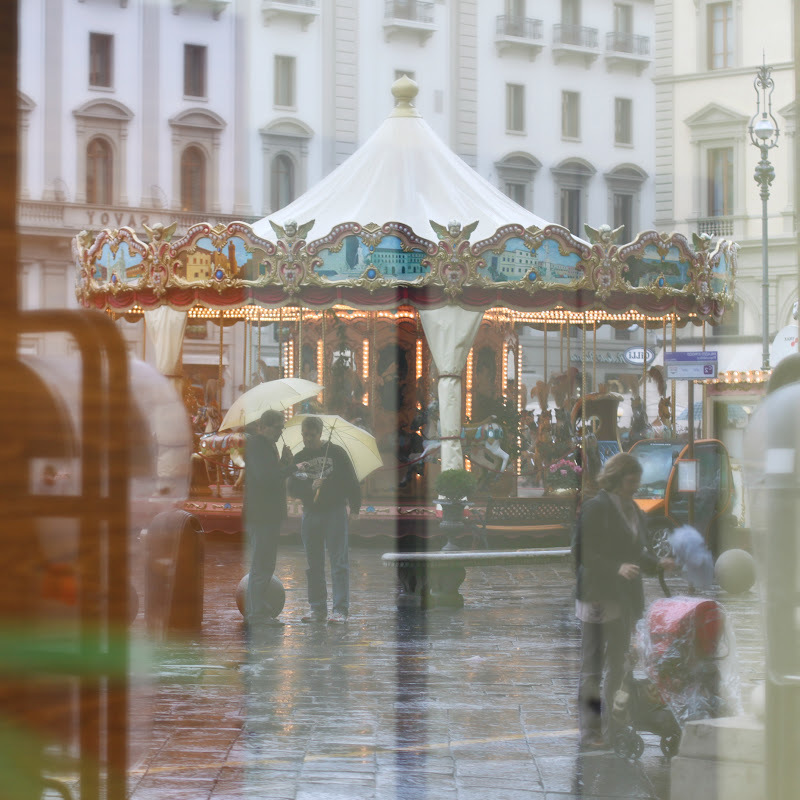 It rained a couple of times while I was in Florence last December and I was glad because it increased my chances of finding reflections. I posted another reflection from this trip at my other blog. This is a reflection in the window of a bank and the photo at my other blog is a reflection in a puddle. This isn't the clearest photo so I'll explain. 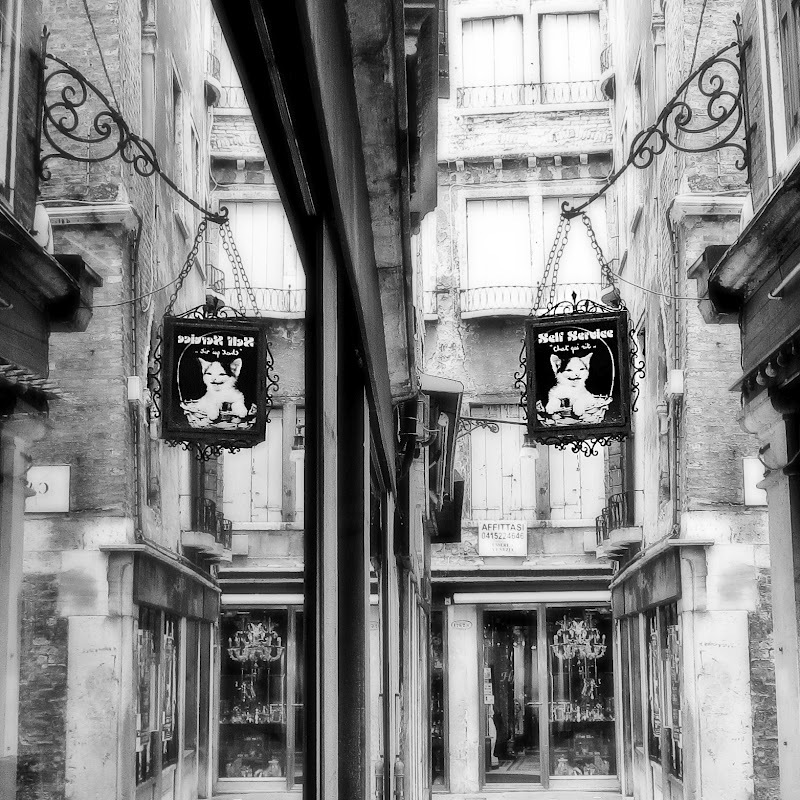 It's a narrow walkway in Venice with a large window on the left that's reflecting the stuff on the right. The hanging sign with the picture of a laughing cat says "Self Service" and below that in small letters it says "Chat Qui Rit" which is French for Laughing Cat. 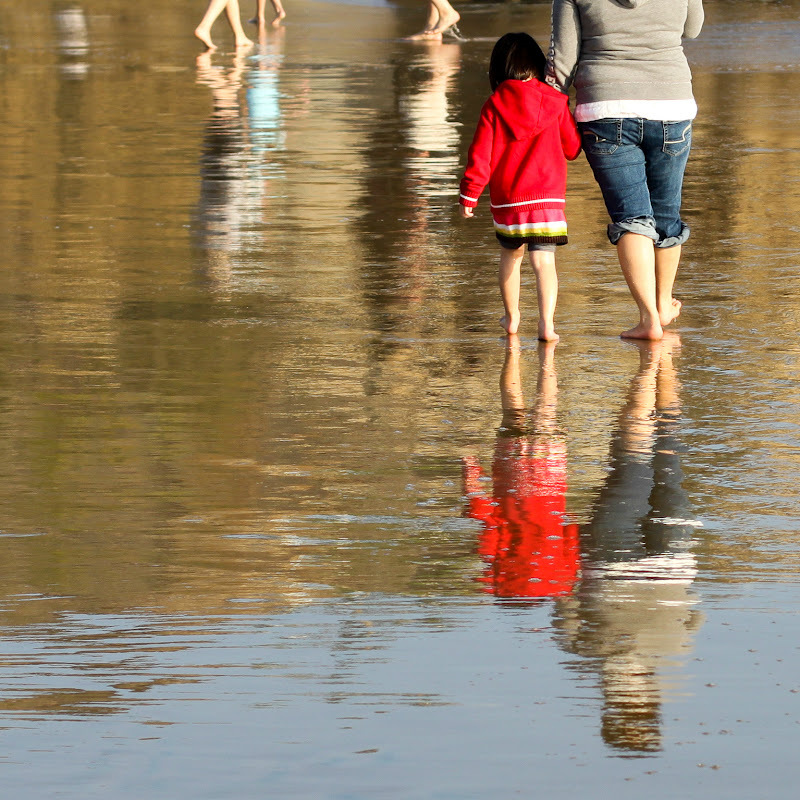 Newport Beach, California (Corona Del Mar) Last winter. 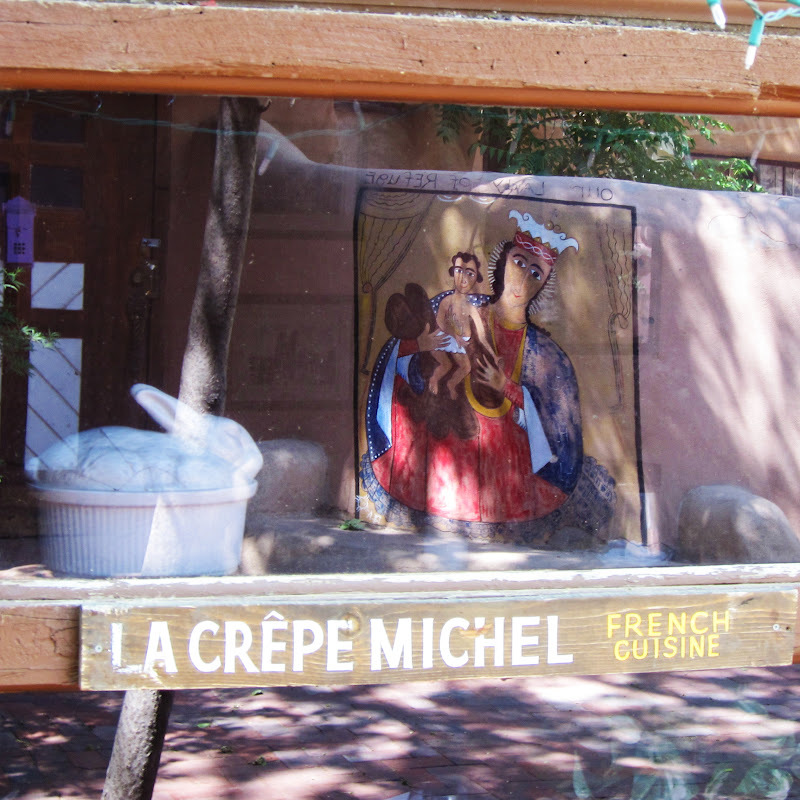 I stumbled upon this place while I was walking around Albuquerque's old town. Unfortunately it was Monday which is the only day they are closed. At least I walked away with a reflection of a mural. There was also a mural of St. Michel but it was impossible to get it in the reflection. 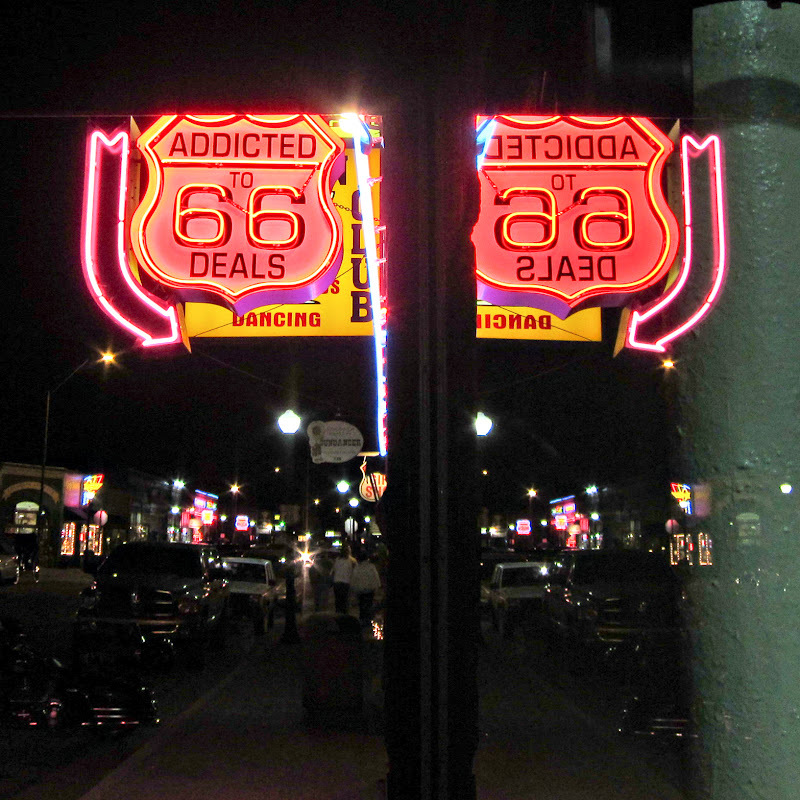 There is a lot of history and interesting things to see on Route 66. I'm sure it has changed quite a bit from its glory days, but I have a good imagination, so I was able to go back in time and really enjoy the ride.